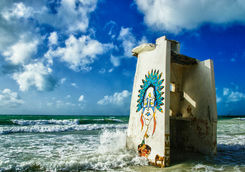 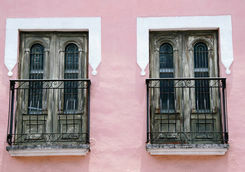 Take two weeks to thoroughly explore the Yucatan peninsula. 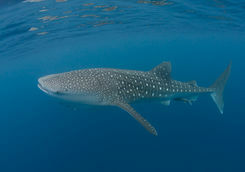 Snorkel with whale sharks off Isla Holbox, dive the Mesoamerican reef and the mesmerising freshwater cenote caverns. 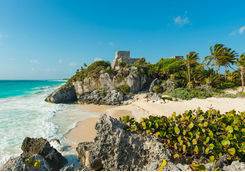 Above water, visit the colonial towns of Valladolid and Mérida, and explore the ancient Mayan ruins of Chichén Itzá, Tulum and Coba. 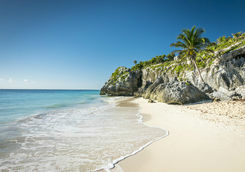 Your flight departs London for Mexico in the afternoon, taking around 11 hours and arriving into Cancun in the evening. 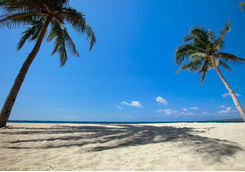 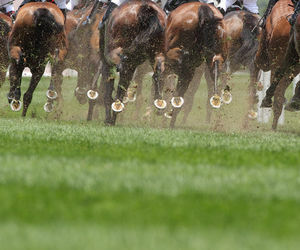 Upon arrival you will be privately transferred to your hotel for the night, which will take around two hours. 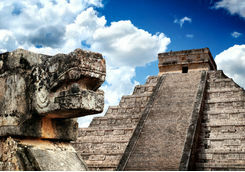 You will be staying in a luxurious lodge boasting a prime position next to the towering ancient Mayan ruins of Chichén Itzá. 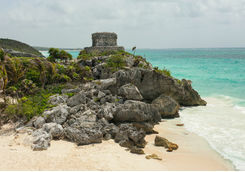 The lodge has an exclusive private entrance to the complex meaning you can bask in solitude while exploring the ruins the following morning at sunrise, long before the tours from Cancun arrive. 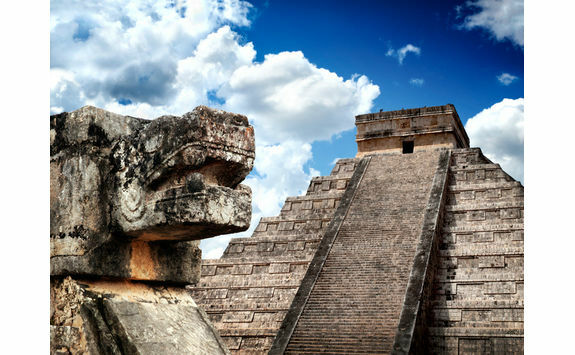 It's time to rise and shine as this morning you will explore Chichén Itzá, one of the largest Mayan cities and one of the New Seven Wonders of the World. 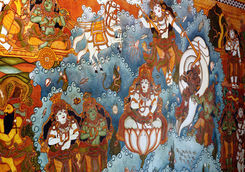 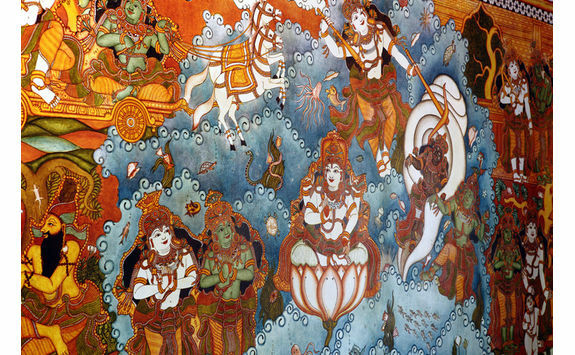 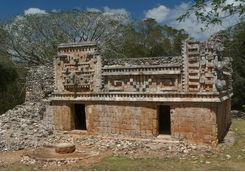 You will have a privately guided tour of the site as you uncover the temples and their rich history. 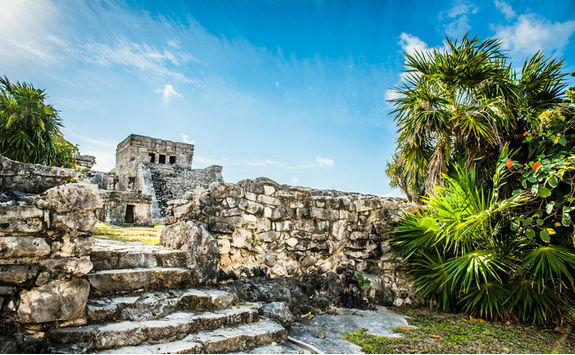 The most famous of these, El Castillo (meaning the castle), is the focal point of the complex but is by no means the only area of interest - don't miss the great ballcourt, the temple of Kulkulkán, the observatory or the cenote of sacrifice (as Indiana Jones as it sounds). 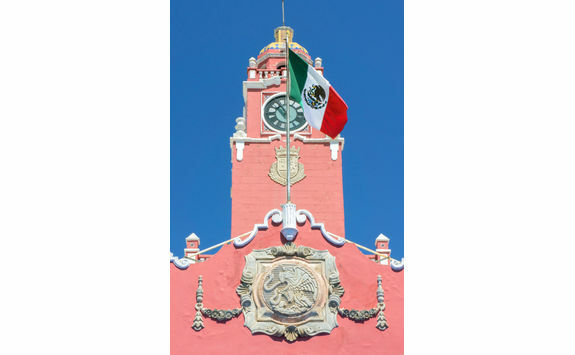 After your visit to Chichén Itzá you will head to the nearby town of Valladolid for a local lunch of tacos washed down with a frosty Modelo (local beer). 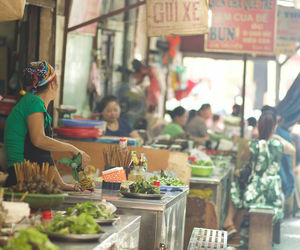 This charming and brightly coloured colonial city is still fairly under the tourist radar so it has a much more authentic feel to it. 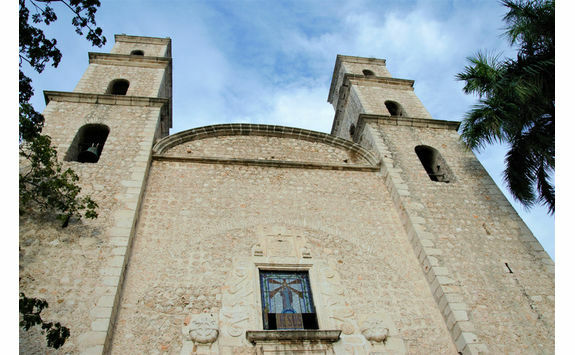 Your guide will show you some of the highlights, such as the San Bernardino Convent and Casa de los Venados, a private home with a beautiful collection of Mexican art. 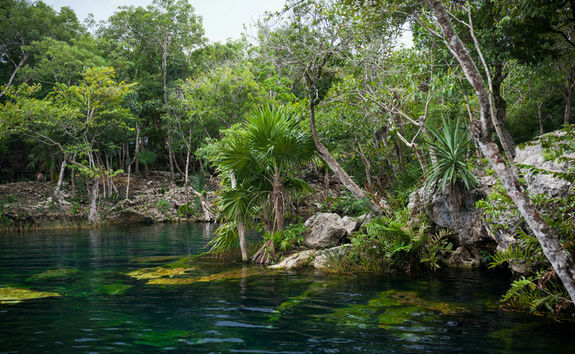 On the way back to the hotel, you will stop off at Cenote Ik Kil which, filled with aquamarine freshwater, makes a refreshing dip and a tantalising taster of your upcoming diving adventures. 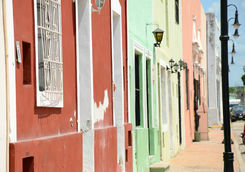 This morning you will be transferred to the colonial city of Mérida, the state capital of Yucatán. 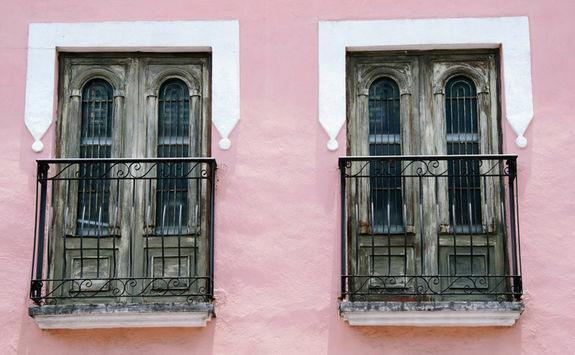 Frequently touted as one of Mexico's most stylish cities, Mérida is a postcard-perfect scene of elegant buildings, colonial churches and plazas. 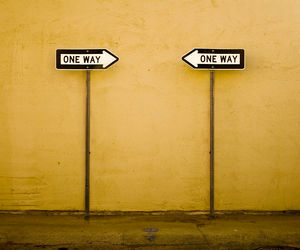 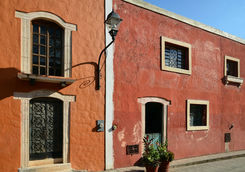 However, delve deeper and discover a thriving art scene and exquisite restaurants. 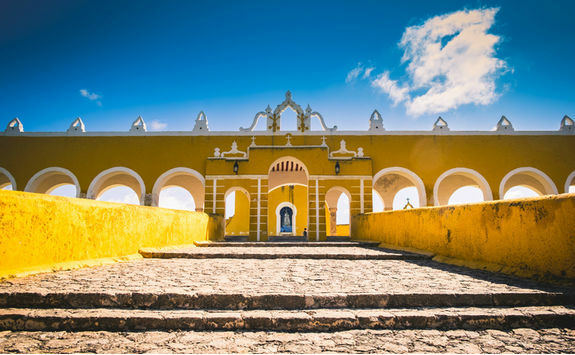 Spend the afternoon getting familiar with the city, taking in some of the highlights including the Gran Museo del Mundo Maya de Mérida (a museum showcasing the Mayan world around Mérida). 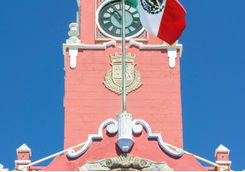 Wander through the bustling Mercado Lucas de Galvéz where you can sample exotic fruits, vegetables and other local produce and mingle with the locals in the leafy Plaza Santa Lucia - a square where locals come to socialise and dance. 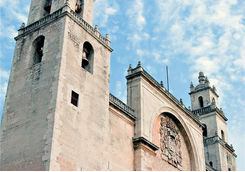 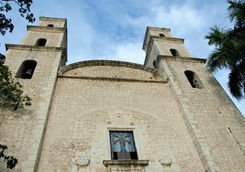 Today you will uncover Mérida's rich history on a private tour around the city. 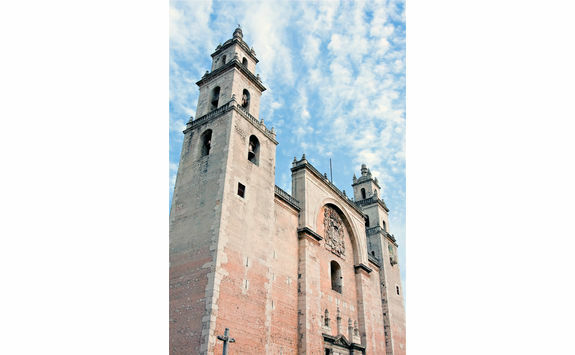 You will explore the Zócalo, the San Ildefonso Cathedral, one of the oldest churches in Latin America, and the Monument of the Homeland, before heading down El Paseo de Montejo, with its grand, colonial buildings. 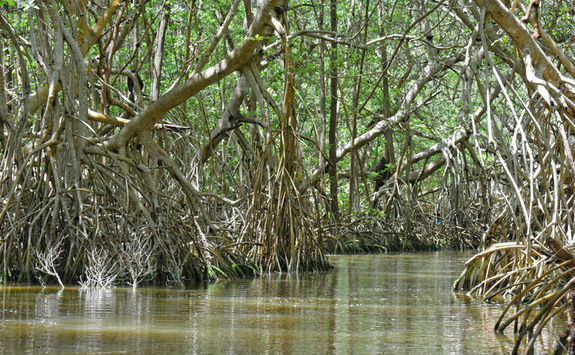 In the afternoon you will be privately transferred to the Celestún Biosphere Reserve, an estuary around one hour from the city. 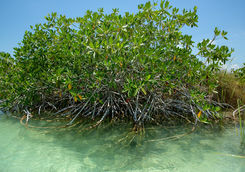 The estuary is surrounded by mangroves which attract a wealth of bird species which flock (sorry) to the shrimp and crab larvae that gather around the mangrove roots. 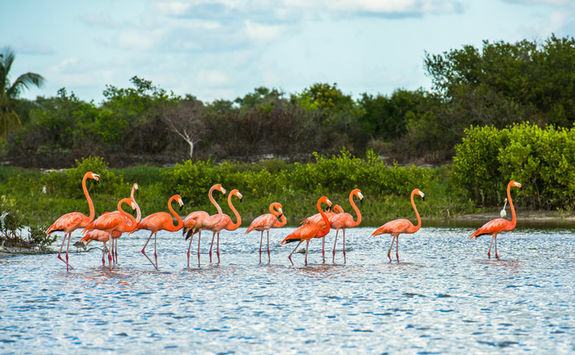 You will take a boat trip through the estuary and mangrove forests spotting lots of different types of birds, including flamingos, cormorants, frigate birds and great egrets. 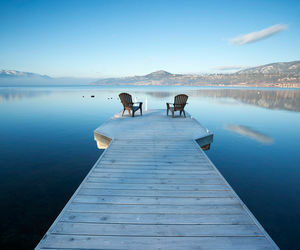 Later the boat will take you to a freshwater spring for a refreshing dip before you are driven back to the city. 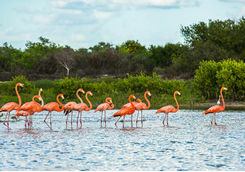 If you’re particularly passionate about bird-watching, visit in the winter when a huge range of migratory birds pass through the Celestún Biosphere Reserve. 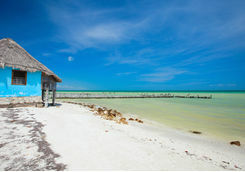 Today you will embrace island life as you decamp on the paradise island of Isla Holbox. 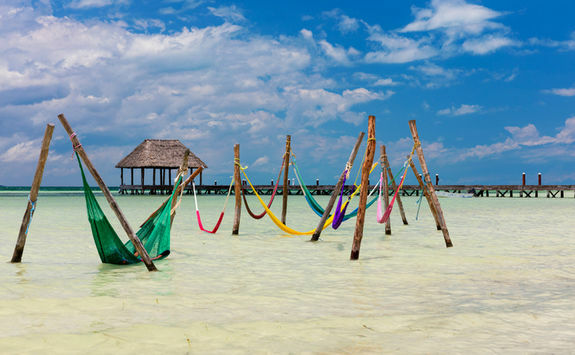 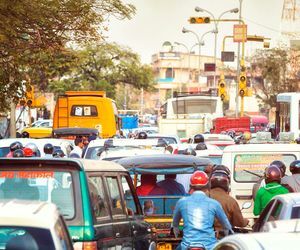 You will be driven for three and a half hours to the small port town of Chiquila on the northern coast of the Yucatan Peninsula, followed by a short ferry ride across to the island. 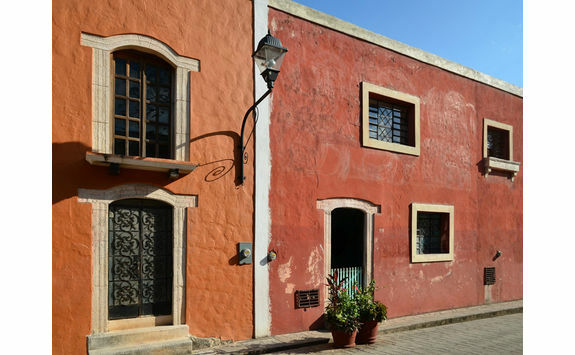 There are no cars on the island, but you can hitch a ride to your hotel on one of the golf buggies that act as the island's taxis. 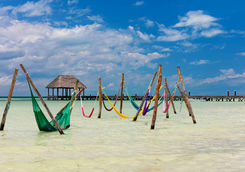 Once you have settled into your hotel, take the afternoon to relax in a hammock on the white sand beach with a cocktail in hand. 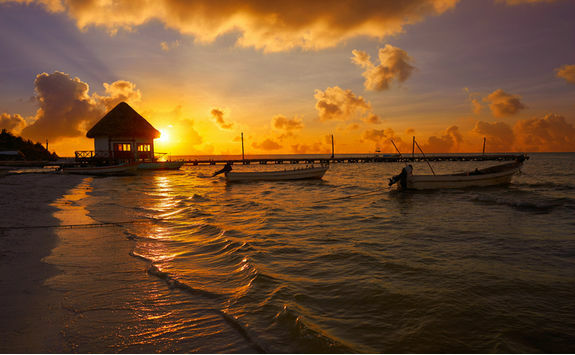 Stick around for sunset, which are some of the best in Mexico, before dining on freshly caught seafood in one of the local restaurants that line the beach. 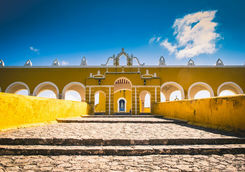 You will be driven for three and a half hours to the small port town of Chiquila on the northern coast of the Yucatan Peninsula, followed by a short ferry ride across to the island. 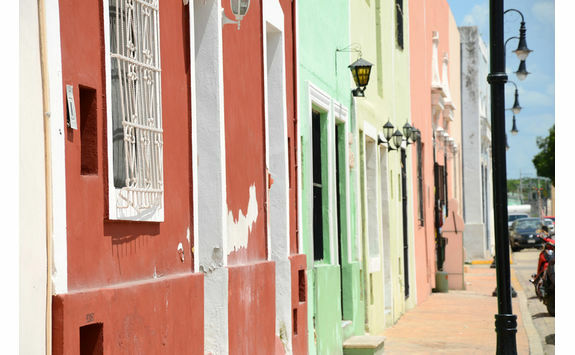 There are no cars on the island, but you can hitch a ride to your hotel on one of the golf buggies that act as the island's taxis. 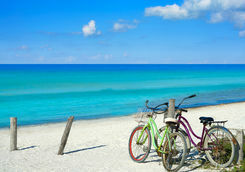 Spend the day today relaxing on the beautiful beach, or, if you're feeling more adventurous, hire a bike and cycle to the more remote parts of the island. 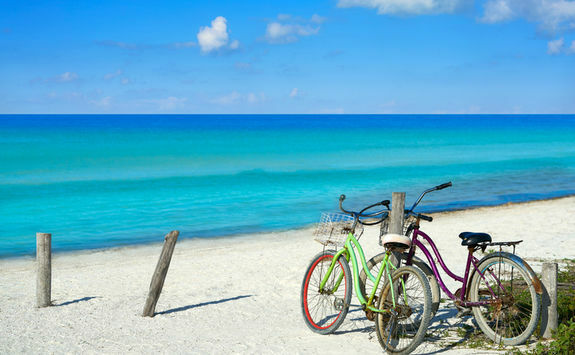 Cycle to the western side, which is often completely deserted, where you can swim to Isla de la Passion, a small island surrounded by flamingos and other seabirds with a small tower you can climb for vistas over the Gulf of Mexico and Holbox island. 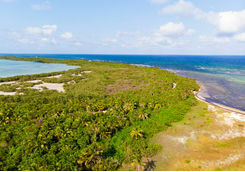 Alternatively, you can go on a 'Three Islands' tour which takes you to Bird Island, Passion Island and Yalahau cenote, which are fantastic habitats for more than 150 species of birds. 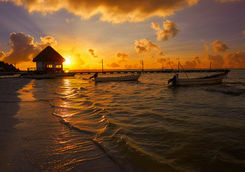 Later, head back to your hotel and watch a spectacular sunset over the sea before enjoying a delicious dinner at the hotel or one of the other amazing restaurants on the island. 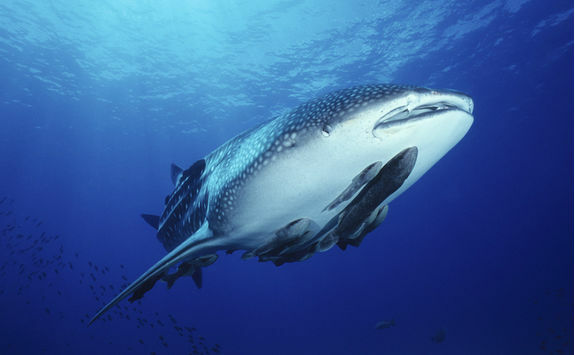 If you are travelling between June and September, your trip will coincide with the world's largest aggregation of the biggest fish in the sea - whale sharks. 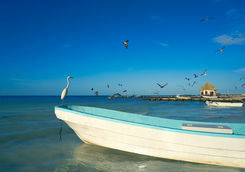 Head out on a boat to Cabo Catoche, where the sharks are known to feed. 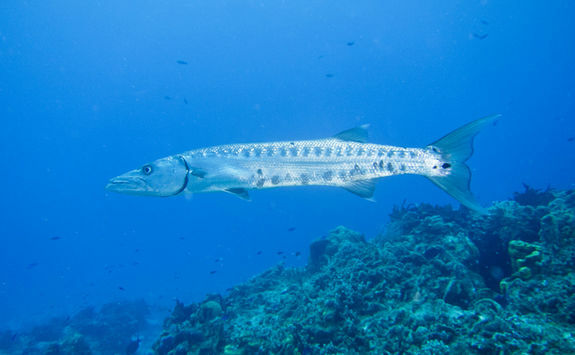 When you find one (or more) of these gentle giants, slide into the water and try to keep up swimming alongside these beautiful, humongous creatures. 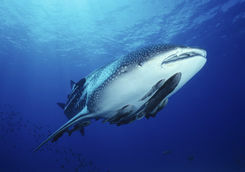 At times you could be surrounded by as many as 50 whale sharks. 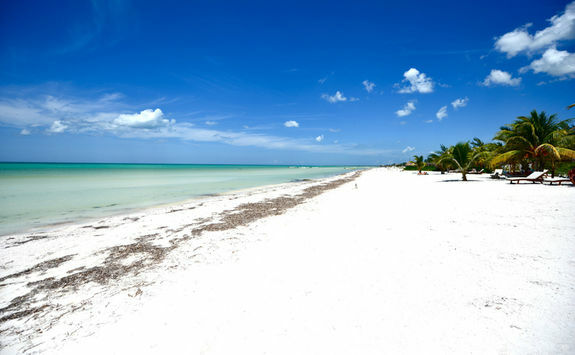 On the way back to Isla Holbox you will stop off on a beautiful deserted beach to enjoy some delicious freshly-made ceviche. 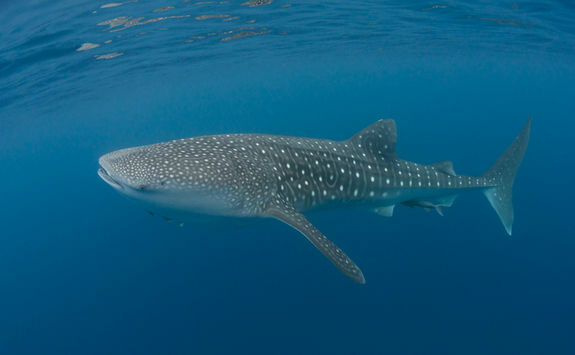 Swimming with just one whale shark is a wonderful experience but the possibility of swimming with huge aggregations of these animals is what makes this part of Mexico so special. 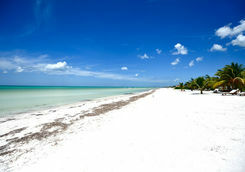 Today you will be transferred from Isla Holbox to the Riviera Maya. 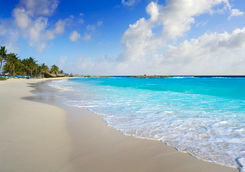 First you will take a ferry back to Chiquila, where you will be privately transferred by car to your hotel on the Riviera Maya, taking around two hours. 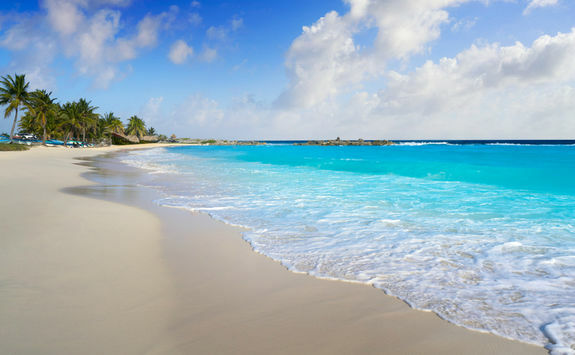 When you arrive at your hotel you can relax into your new surroundings, have a lovely meal on the beach and swim in the bright blue waters of the Caribbean. 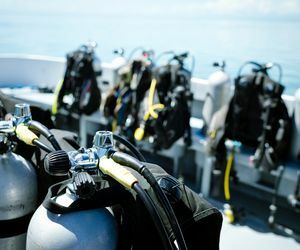 Speak to the on-site dive centre to organise your diving for the coming days before relaxing on the beach with a delicious cocktail prepared at the hotel's beach bar. 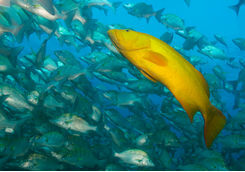 Today you will dive the world's second largest barrier reef: the Mesoamerican reef. 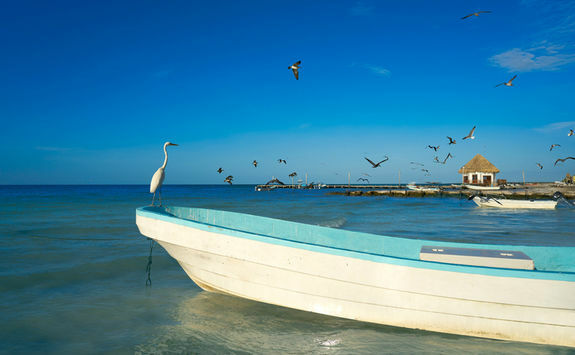 The Mesoamerican reef stretches from the Yucatan all the way south to Honduras, but today you will dive some of the sites close to your hotel. 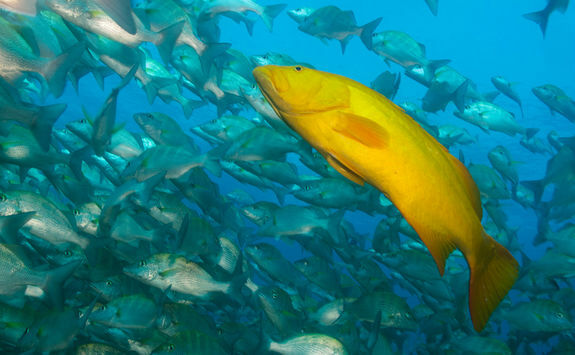 Start out at the Mama Viña wreck which, formerly a shrimp boat, was intentionally sunk in 1995 to create an artificial reef. 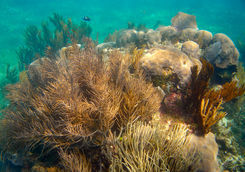 The boat is still largely intact and is covered in colourful corals that house a flurry of marine life. 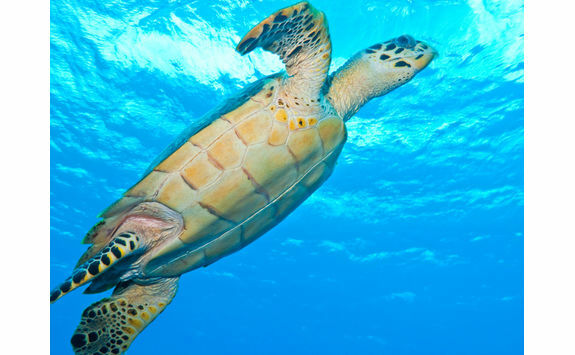 On the way back from Mama Viña, stop off at the aptly-named Tortugas (turtle) reef, where you will see huge numbers of hawksbill turtles along with lots of other large fish including barracuda, jacks, snappers, stingrays and moray eels. 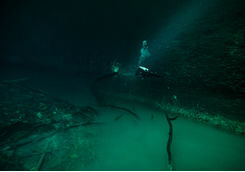 Over the winter months (December to March), the site is also often visited by bull sharks. 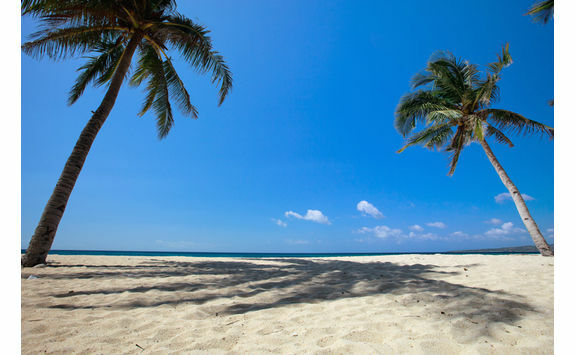 When you return to the hotel, enjoy a delicious lunch then spend the afternoon relaxing on the beautiful white sand beach. 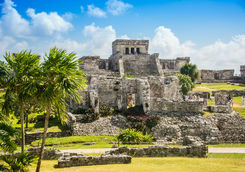 This morning it's an early start for a sunrise tour of the Mayan ruins in Tulum. 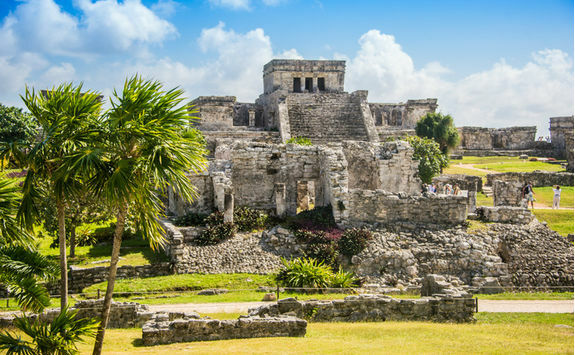 Your guide will lead you around the ruins, explaining the history behind this magnificent site, including each of the buildings' past and key significance within the context of Mayan culture. 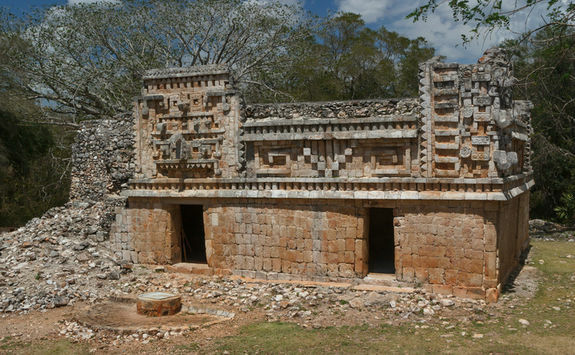 Some of the key buildings are El Castillo, the Temple of the Descending God and the Temple of the Frescoes. 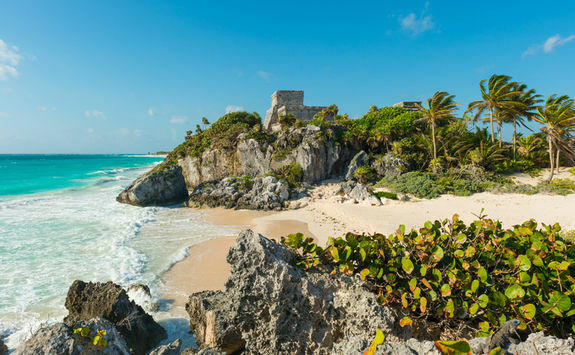 The ruins have a prominent location on the cliffside above the beautiful Tulum beach, and you can watch the sun come up over the ocean and take a swim on the beach below the ruins, looking up at the iconic El Castillo from below. 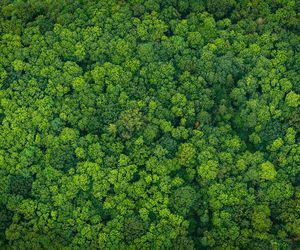 In the afternoon, if you are still feeling energetic, borrow one of the hotel's bikes to explore the surrounding jungle, looking out for monkeys and coatis hidden in the trees. 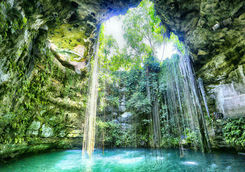 Today you will have a chance to dive in the portal to the underworld, otherwise known as the cenotes of Mexico. 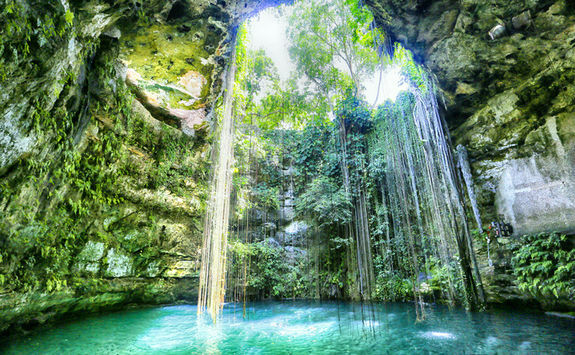 While there are over 7,000 of these limestone sinkholes spread across the Yucatan peninsula, you will first head to cenote Angelita, just south of Tulum. 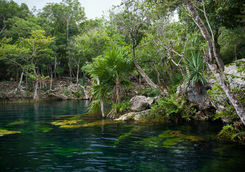 You will walk through the jungle to the picturesque cenote entrance, before jumping in for your dive. 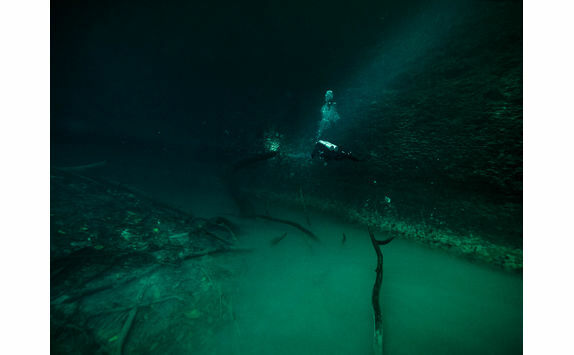 You will descend through the crystal clear freshwater until you reach a cloudy sulphur layer near the bottom, from which trees protrude giving an eerie resemblance to an underwater riverbank. 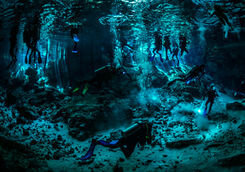 Explore this extraordinary underwater landscape before slowly ascending, while looking at the stalactite-covered walls. 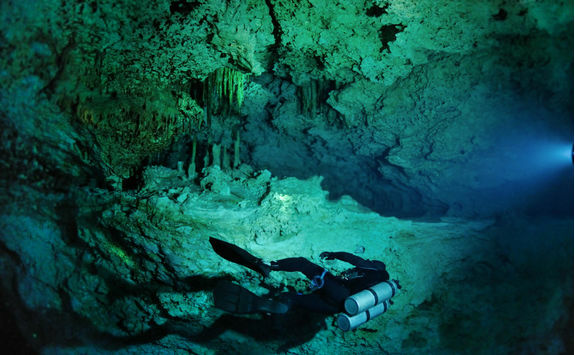 After a surface interval soaking up the rays, move on to Gran cenote which is a much more typical cavern-style cenote. 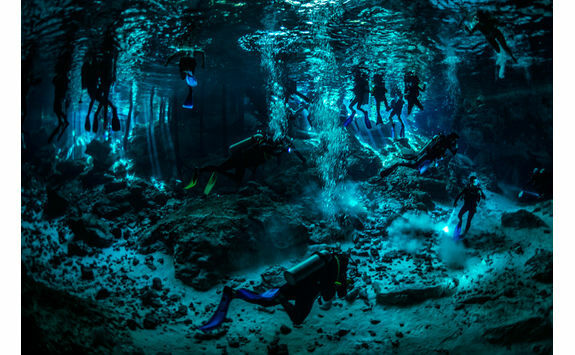 Swim through endless tunnels between the amazing stalactites and rock formations while admiring dancing beams of light created by the sun shining through cracks in the rocks. 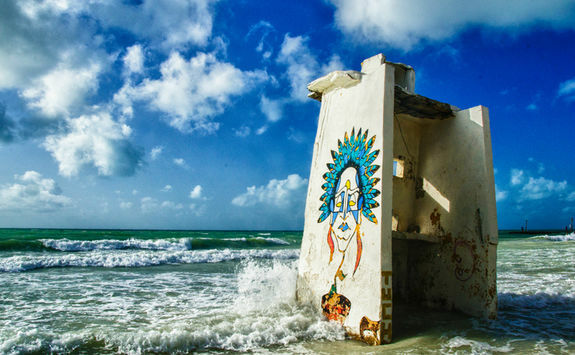 Time to jump back into the sea to explore more of the dive sites along the Riviera Maya. 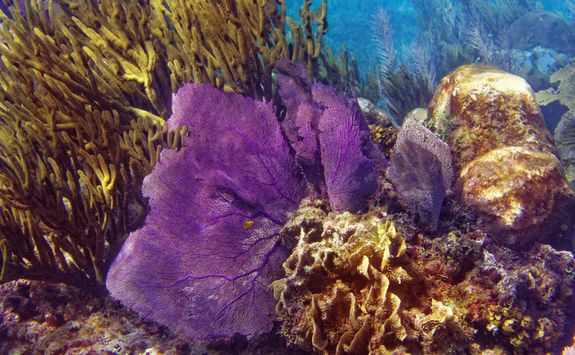 Visit Sabalos, a coral-covered reef which ends with a small cave. 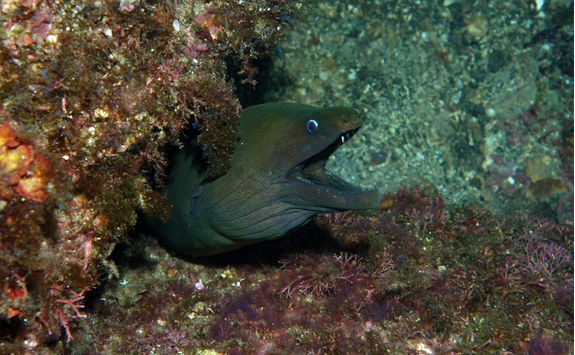 Peek into caverns in the reef, which are home to moray eels, crabs and sea spiders before checking out the fish-filled cave at the end of the dive. 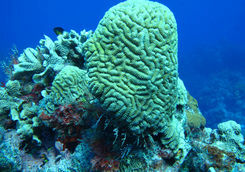 Next, visit the famous dive site Jardines, a coral garden featuring a small wall covered in colourful sponges, hard coral, fans and sea whips. 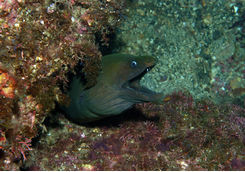 Not to forget a whole host of marine species that call this site home, including moray eels and huge schools of fish. 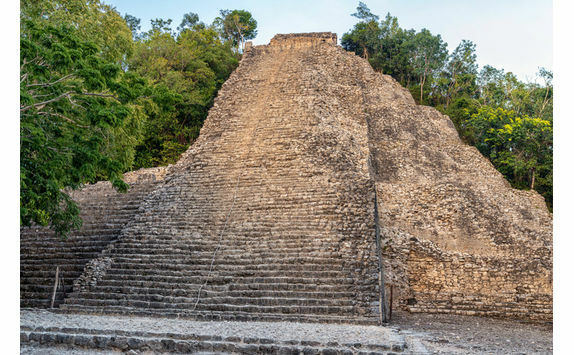 In the afternoon, if you still haven't got your fill of ancient civilisations, you can visit the lesser-visited Coba ruins. 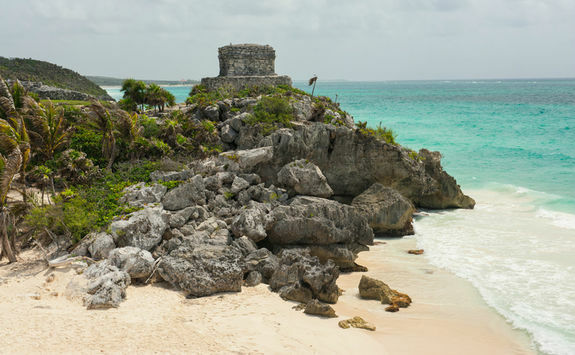 This Mayan site has not been as thoroughly excavated as the ruins at Tulum or Chichén Itzá but archaeologists believe that it could be one of the largest Mayan sites on the Yucatan. 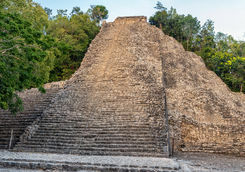 Explore the site with a private guide and climb the ancient pyramid to get a bird's eye view of the site - this is the only Mayan site you can climb so is a really special experience. 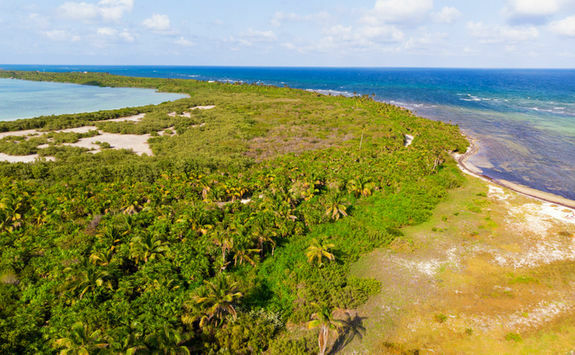 Today, literally follow in the footsteps of Jacques Cousteau with a special day trip to the island of Cozumel, made famous by Cousteau's documentary, Le Monde du Silence. 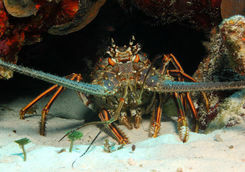 While Cozumel has a wealth of great dive sites, we recommend visiting Santa Rosa wall. 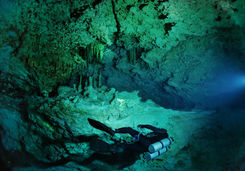 A deep dive site, the wall is covered with large sponges along with caves, swim-throughs and coral overhangs. 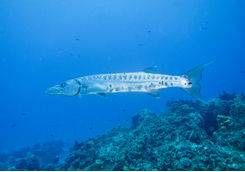 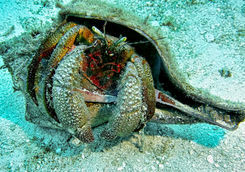 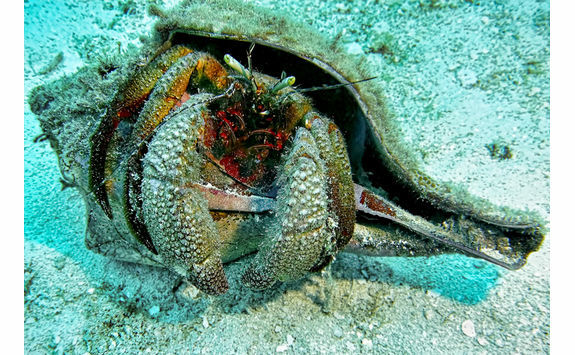 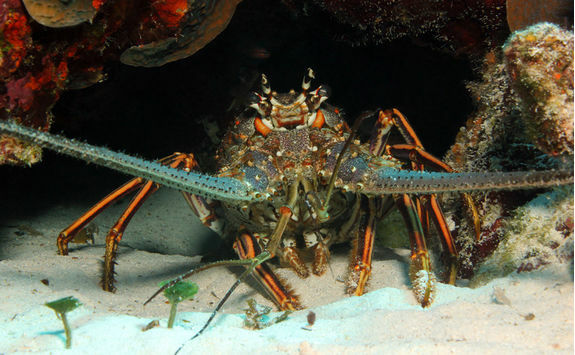 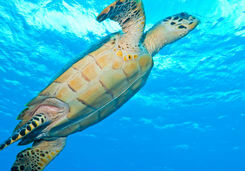 There is also plenty of marine life here including turtles, eagle rays and large groupers. 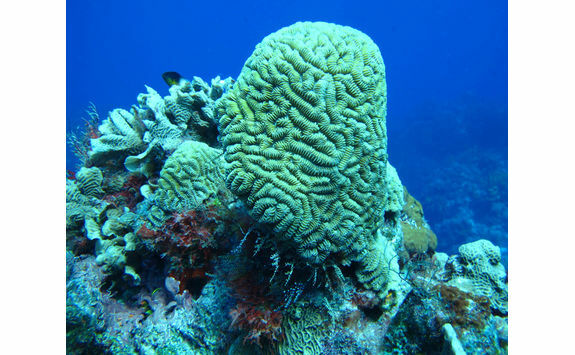 Next, head to Palancar reef which is a nice easy dive over an extensive coral garden, home to hundreds of different coral species. 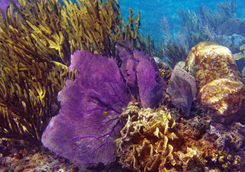 Looking among the corals you will find lots of colourful fish as well as lobsters, crabs and rays. 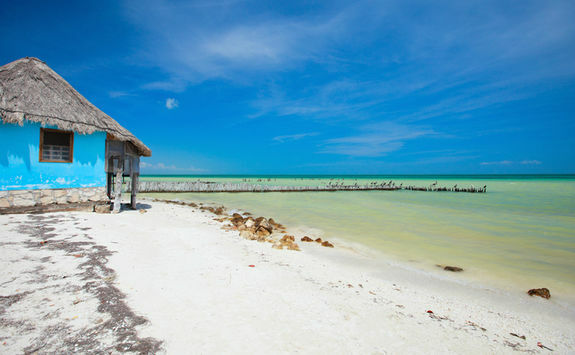 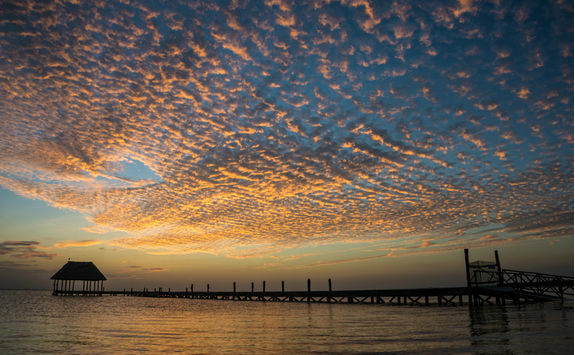 For your final day in Mexico, take a tour down to the beautiful Sian Ka'an biosphere reserve. 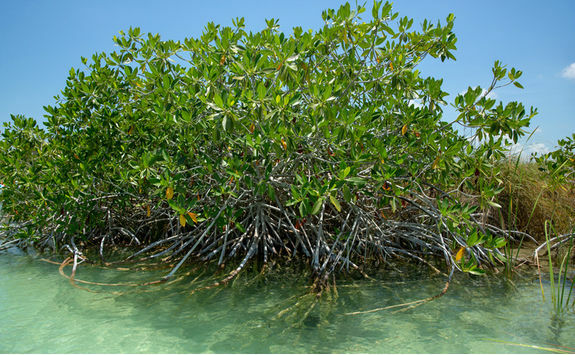 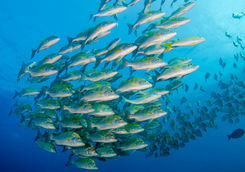 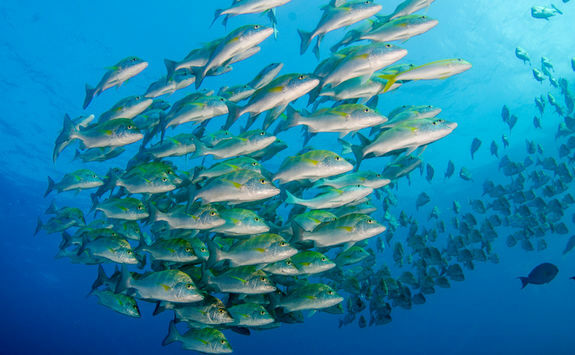 This is a World Heritage site and is the largest protected area in the Mexican Caribbean. 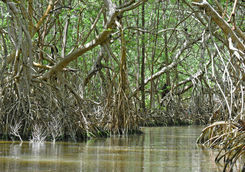 After the drive down to the park you will board a boat that will weave its way through the mangrove lagoons. 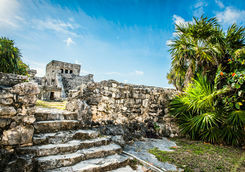 Look out for crocodiles, tropical birds and butterflies, as well as the Mayan ruins of Xlapak. 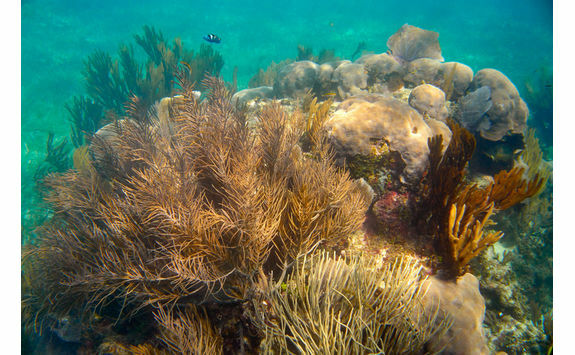 The boat will then come out into the Caribbean sea and you will have the chance to snorkel. 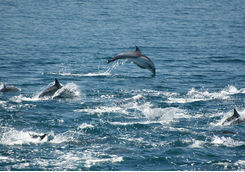 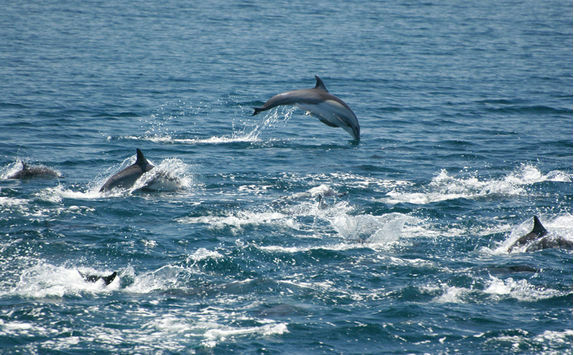 There is a lot of marine life in this area including turtles, dolphins and even manatees if you are really lucky. 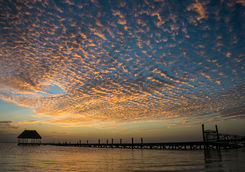 Finish the day toasting to a wonderful holiday, overlooking an orange-hued sky before dining on the beach at your hotel. 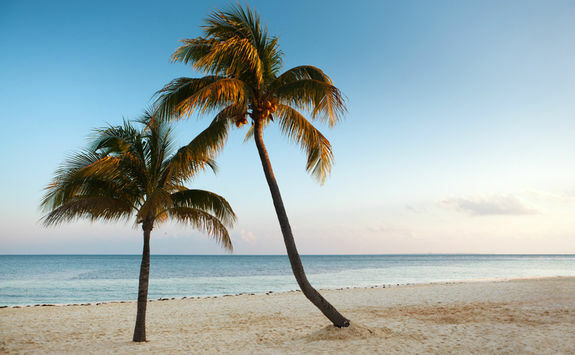 Sadly it is time to leave Mexico and head home. 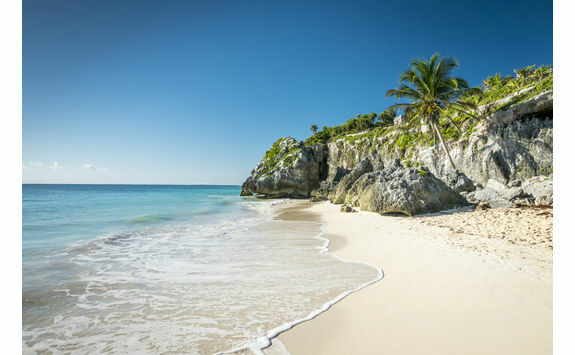 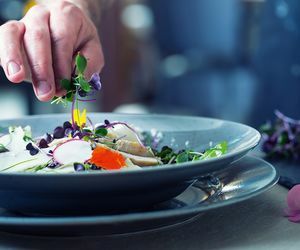 Spend the morning sunbathing on the beach, lunching on a final Mexican feast before being transported from your hotel to the airport in time for your evening flight. 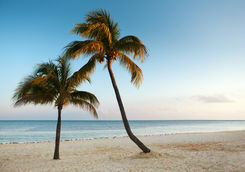 The flight will take around 11 hours and arrive into London around 11am the following day.